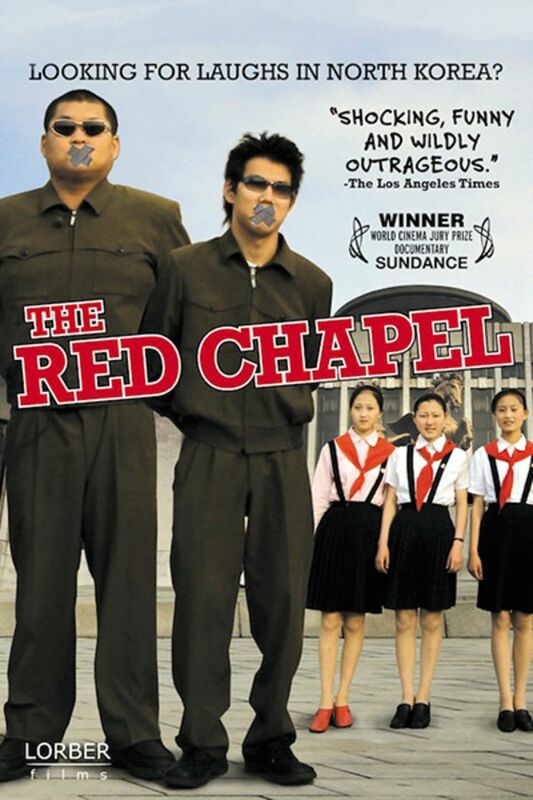 (The Red Chapel) Combining the muckraking spirit of Michael Moore with the confrontational comedy of Borat, THE RED CHAPEL is a one-of-a-kind documentary that reveals the injustices of North Korea with a hilariously dark wit. In this Sundance Grand Jury Prize-winning film, a trio of Danish comedians, who call themselves "The Red Chapel," pretend to be regime sympathizers and mount an absurd variety show in Pyongyang. A singer and a comedian travel to North Korea to pull a dangerous prank on Kim Jong Il, Supreme Leader of the world's most repressive regime. Danish theater troupe vs. North Korean state, who can outmanipulate the other? Watch and see! this is now I'm my top 5 docs of all time, and I have seen hundreds of them in my life. This was so moving, so sad and most of all, so INSANE. I can't belive they got this footage out of there and somehow made it out alive, They took huge risks to bring this amazing piece of reality to the rest of the world. Now, if we could only get a copy to each North Korean family to watch. Yet another "North Korea is horrible film". A more novel and nuanced approach would be a reflection on propaganda as a whole. Showing how all governments closely control the information disseminated to it's people, with the goal of shaping a view of a world they have never, and likely will never, encounter. Such a film might encourage more critical thought, rather than beating the same old "we are good, they are bad" drum. A wild ride that feels as though it will come undone at any moment. Insightful, funny and ridiculous!